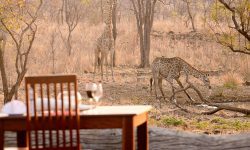 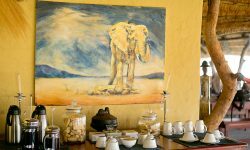 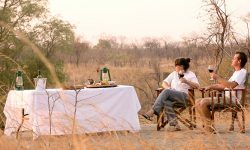 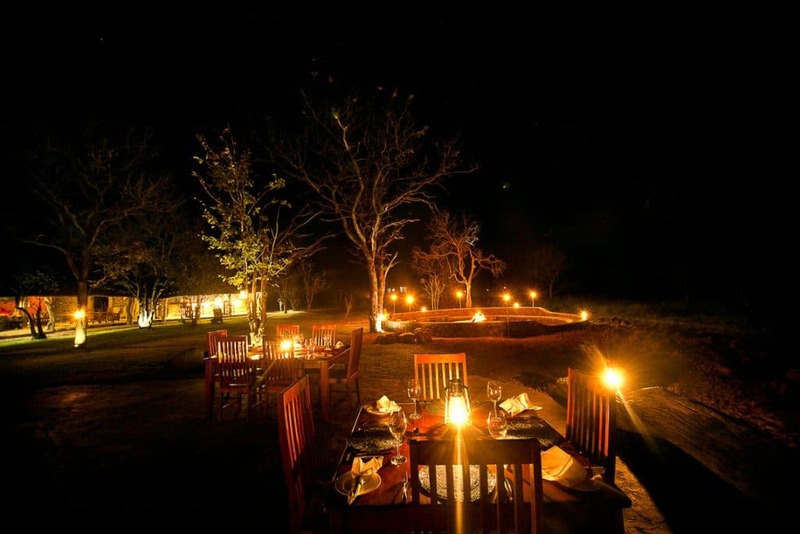 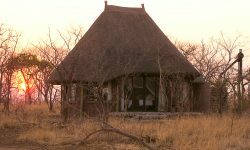 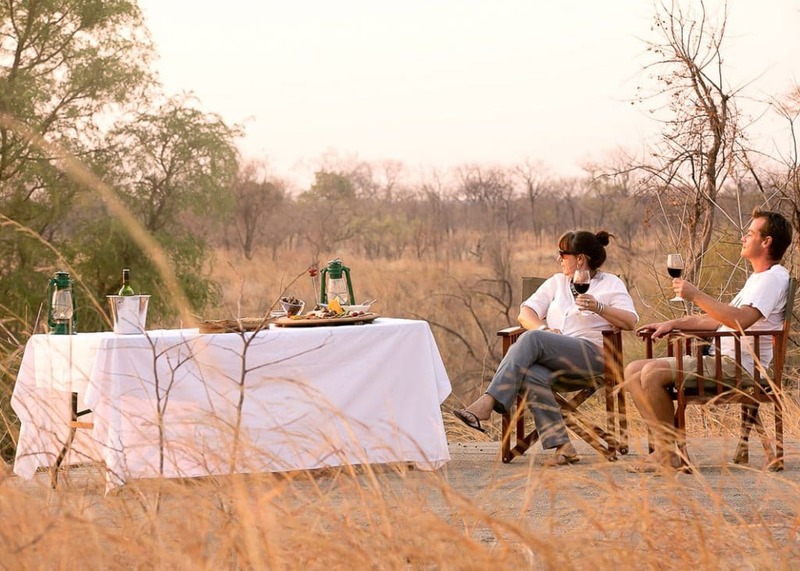 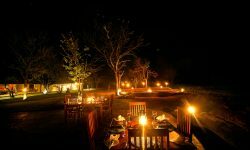 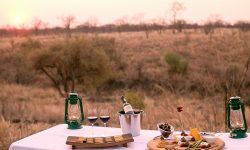 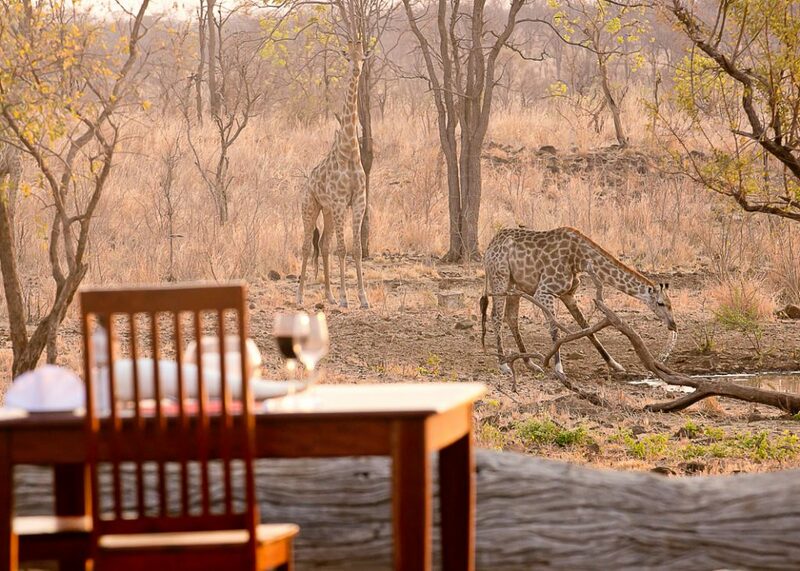 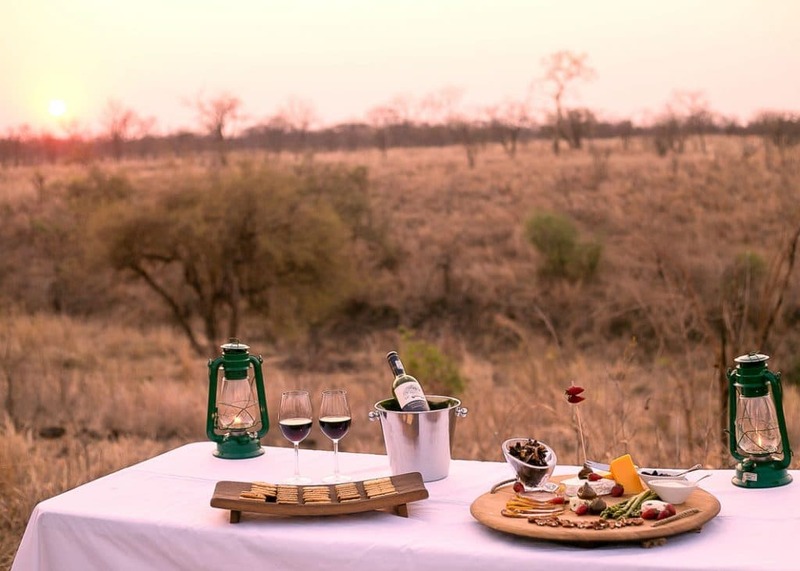 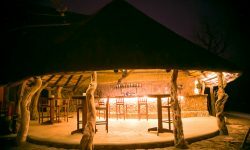 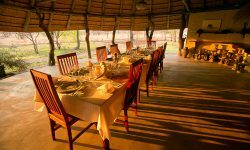 Wildtrack Safaris Eco Lodge borders the Hwange National Park and is situated near the village of Pandamatenga and the Kazuma National Park. 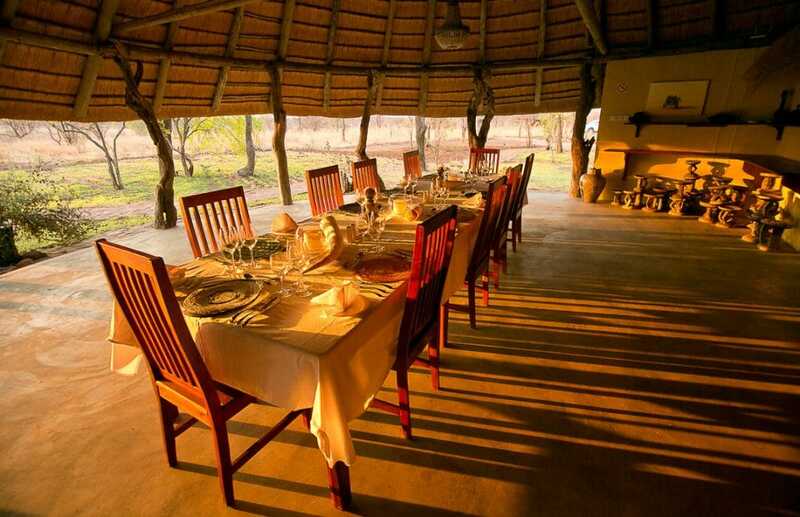 Chobe is only an hour away making it possible to explore the Chobe National Park. 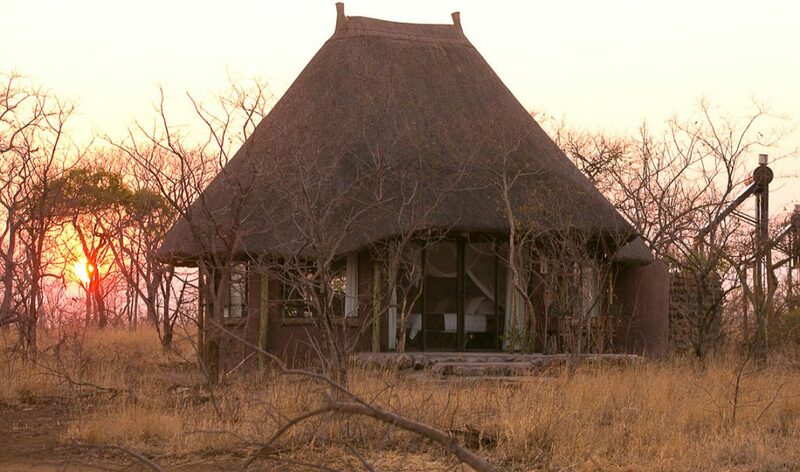 The lodge is designed to minimize the environment impact and is entirely solar powered including solar heated water. 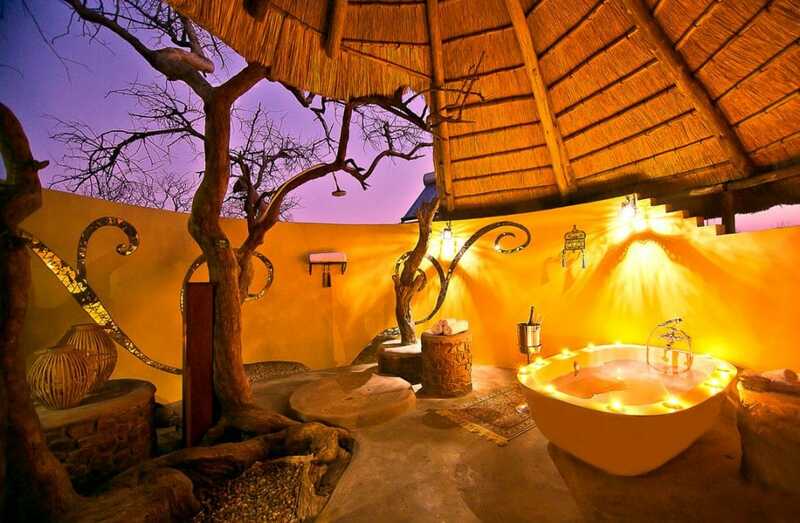 Water is recycled and returned to the environment safe and clean. 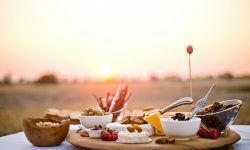 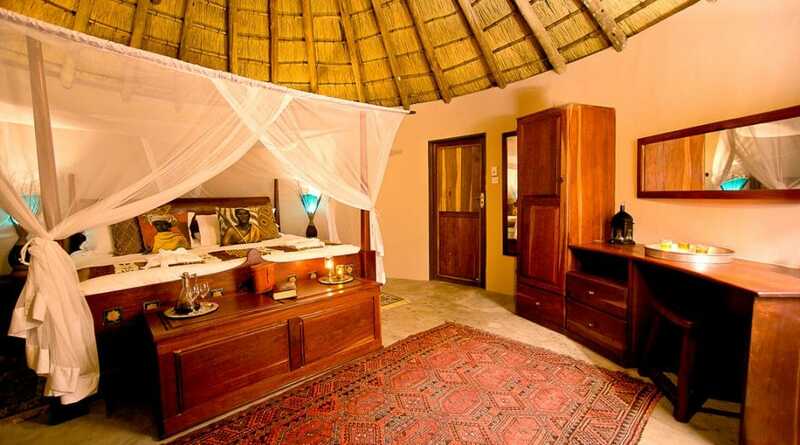 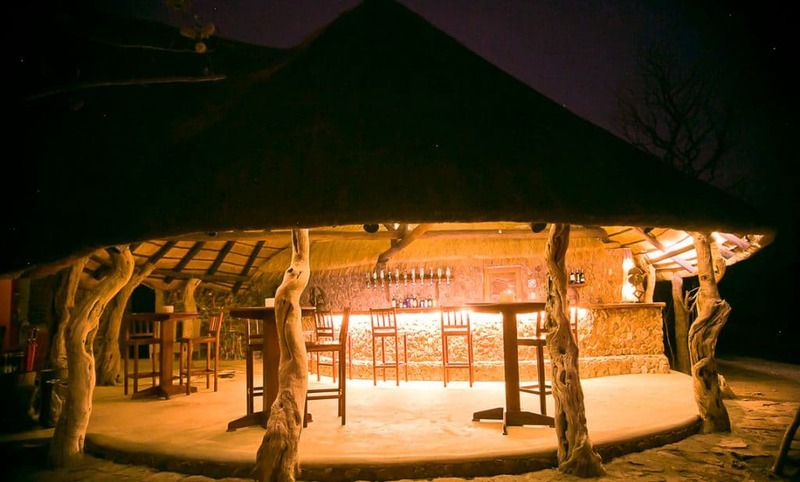 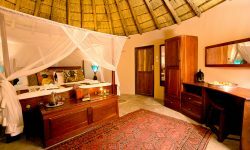 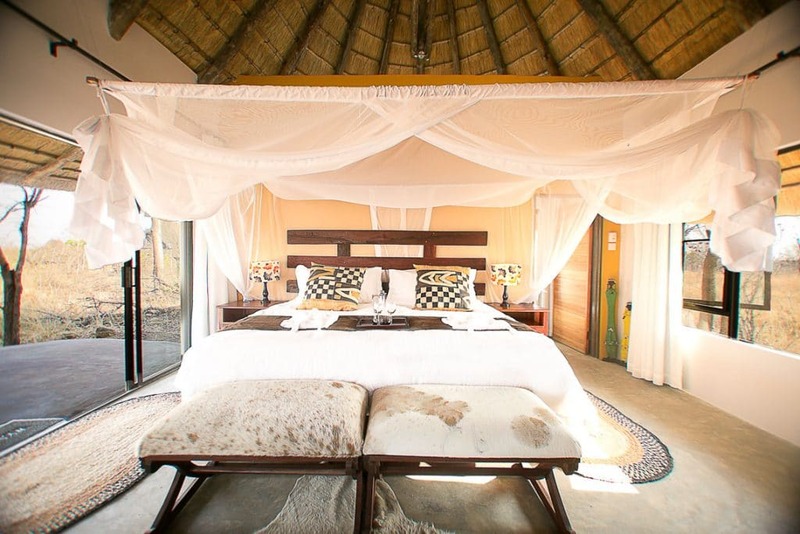 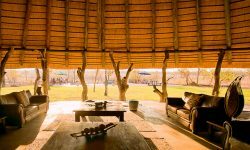 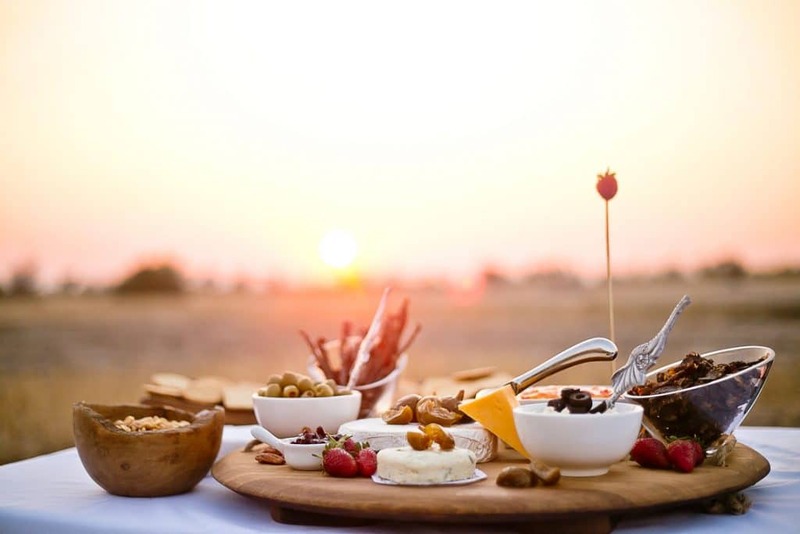 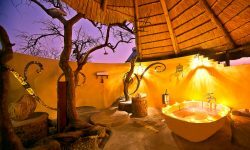 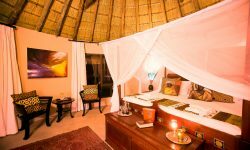 The Wildtrack Safaris Eco Lodge is private and exclusive comprising of 11 thatched luxury suites ( one of which is wheelchair friendly ) and family oriented. 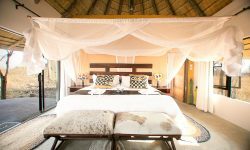 Each suite is uniquely styled and themed to reflect African culture and consist of mosquito nets and a safe with his and hers robes and slippers.. 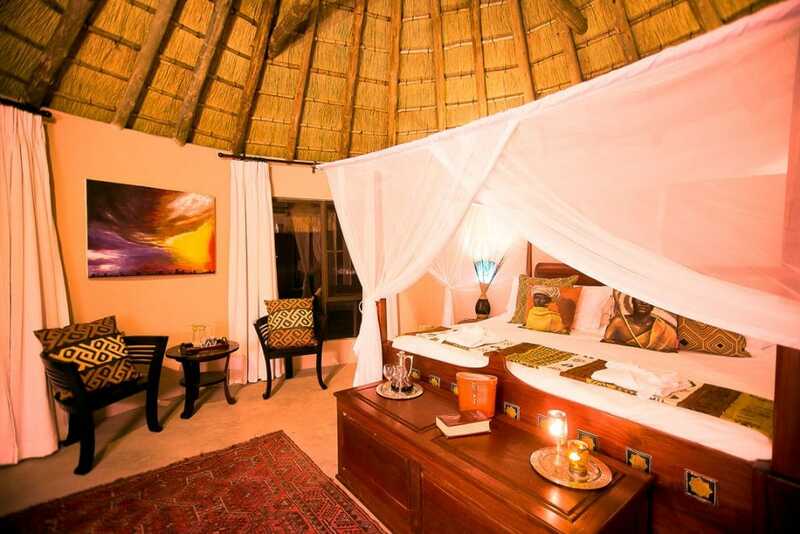 Beds are King size with white linen. 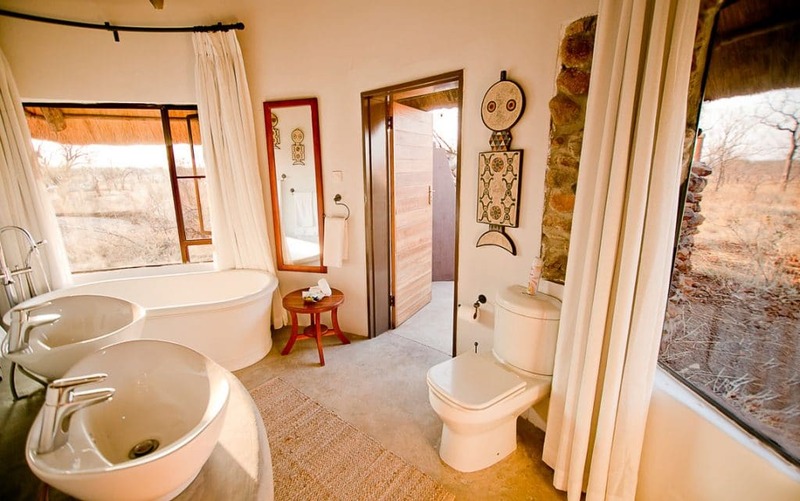 The en-suite bathrooms are made from Stone which open out to an outdoor shower and panoramic views allowing guests to experience the true spirit of Africa. 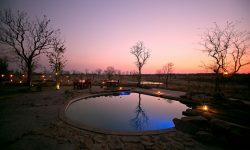 Guests can cool of in the swimming pool on hot afternoons. 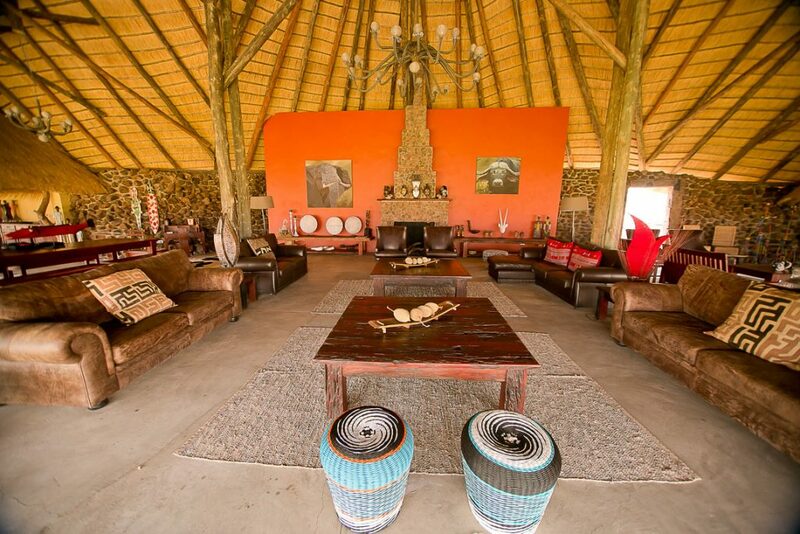 The lodge also has a library and offers WIFI in the main areas. 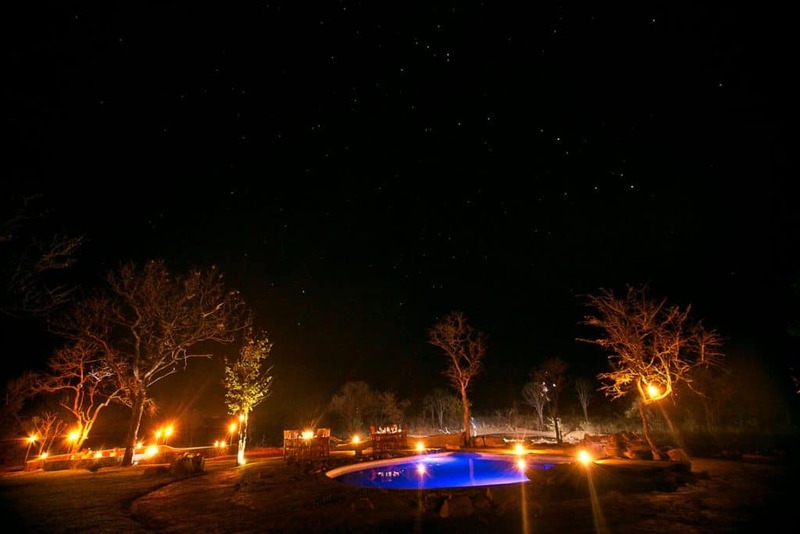 A range of activities include morning and night game drives in open 4 x 4 ame drive vehicles, guided bush walks as well as interactive tours within the community of Pandamatenga.. Star gazing is on request. 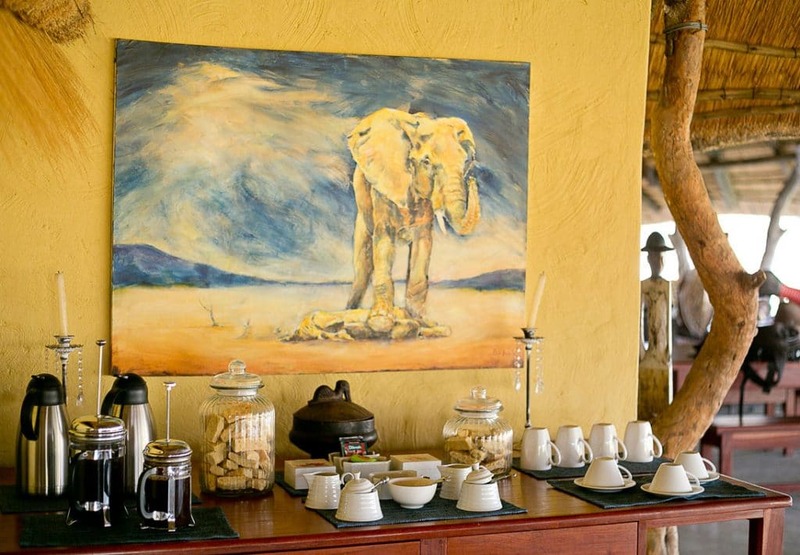 Children of all ages are welcome however under 12 years of age are to share with adults. 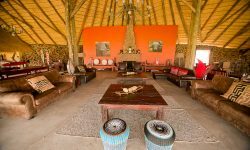 Children over 6 years may participate in game drives at the lodge managers discretion. 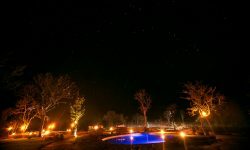 Private vehicle hire is required with children of 6 years and younger at a additional cost and subject to availability.